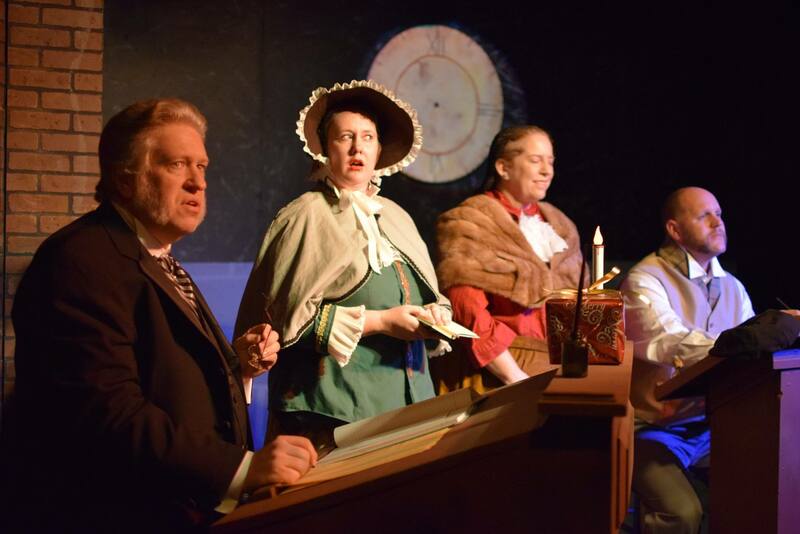 For over 37 years, Carrollwood Players Theatre has produced almost 300 high-quality productions using the talent of local volunteers. Since our start in 1981, our theatre has never “gone dark” and we are proud to be Tampa’s longest running community theatre. We are a 501(c)(3) nonprofit organization promoting a greater knowledge of the theatre arts and increase the accessibility of live productions for people of all backgrounds in our community. Carrollwood Players offers a place for everyone to belong. From our actors on stage, to our backstage crew, and our front of house volunteers, provide a unique and welcoming experience for anyone to hone their creative talents, celebrate their individuality, and build long-lasting friendships. Select either above OR below and enter the gift amount. Monthly giving is a cost effective way to provide sustainability to Carrollwood Players. Donors who pledge monthly gifts are members of the Encore Circle. Your credit card payment information will be securely stored to process your recurring donation in the future. Satisfaction of knowing that your continued support helps keep funded throughout the year. Name listed in annual report. Invitation to special pre/post show receptions. Discounted tickets to Special Events. 1 complimentary beverage voucher to use at the Concessions stand. 2 complimentary beverage vouchers to use at the Concessions stand. Waived ticket exchange fees for all productions throughout the season. Is there anything special about this donation? Name, if you want it to appear differently and your gift is not anonymous. Carrollwood Players Inc is a not-for-profit Florida corporation organized under section 501(c)(3) of the Internal Revenue Code. Any gifts are tax-deductible under this section.